At Cobblestone Homes, we believe building relationships with families is as important as building homes for them. Those relationships are what make building with Cobblestone different from building with anyone else. There are five phases in the Cobblestone path leading to your new home. 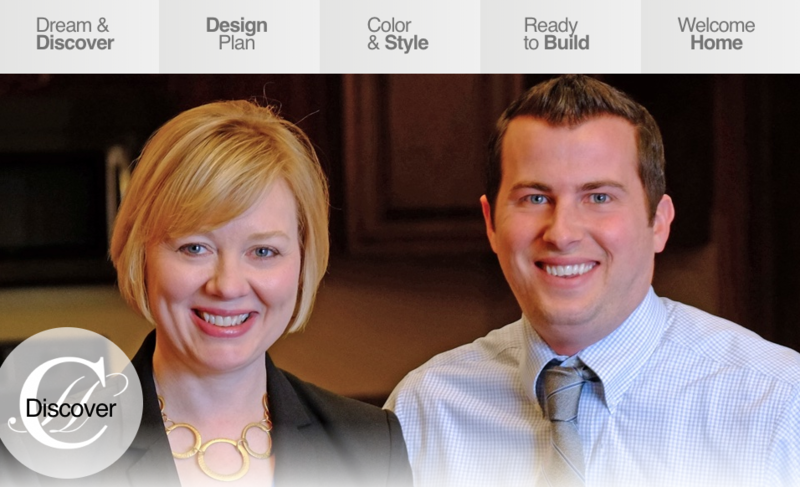 At each phase we will add talented specialists to your homebuilding team. Our Partnership Begins. We Listen. Kelly and Matt set your dreams in motion. From your napkin sketch to our design portfolio. 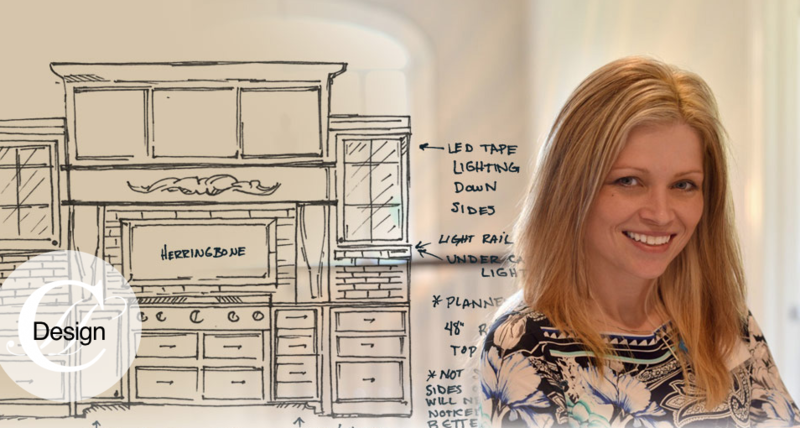 During this phase, our Design Team, led by Melissa Wahl, creates original sketches and drawings that will help shape the look and feel of your home. Once completed, you’ll have a final plan with all of your design specifications and a written promise from us of your investment. And, more importantly, you’ll have a one-of-a-kind home to fit your style. Your personal Selections Coordinator pulls it all together. When it’s time for Color & Style, our New Home Selections Coordinators, help you see how all the details bring your vision to life and give your home the feeling you’ve always wanted. They will make sure all your selections work well together so things will flow smoothly now that construction is about to begin. All the pieces are in place. It's time to start digging. As we start the Construction Phase, remember a home is only as good as its foundation. We’ve already helped you build a solid conceptual foundation. Now, you’ll feel your pulse quicken as you see your dream become reality. Your Project Manager is your home’s Construction Specialist who will make sure all of our decisions and details are executed to Cobblestone’s exceptional standards, from the first shovel to the last shingle. It has all come together, from the custom kitchen to the master bedroom suite. It’s your home. But don’t worry, we still will be by your side thanks to something we call Cobblestone Care. Our Director of Client Experience will be there on the day you move in and in the years to follow. We will be here to answer any questions that may arise, send maintenance reminders and simply keep in touch with you. Welcome to Cobblestone. Welcome Home. If you have any questions, concerns or problems at any stage of the process, please let us know. We want you to enjoy the once-in-a-lifetime experience of custom designing the space where your family will live, love and grow.